Dust off your walking shoes and pump up the bike tires! 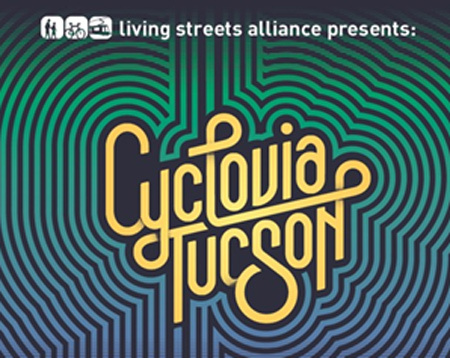 Cyclovia Tucson, the car-free and care-free fun in the streets event will be held on Sunday, April 7, 2019. PDEQ Clean Air Program co-sponsors Cyclovia Tucson with Living Streets Alliance because this free event encourages walking, biking, skating, skipping, skateboarding, and any other non-motorized means of movement to improve our health and reduce vehicle emissions in our community. More details coming soon. Take the "Drive-Less Pledge for Healthy Air"
Did you know that driving our motor vehicles is the single largest source of air pollution in Pima County? Program is hoping that you will take a pledge to drive less to help keep our air healthy and for a chance to win a $100 gift card. The good news is you don’t have to put your car up on blocks -- by skipping a trip just once a week you can single-handedly save over 1,000 pound of air pollution in a year. Learn more about the "Healthy Air Is In Our Hands" campaign and take the "Drive-Less" pledge before June 15, 2019, to be eligible to win. The free 26th Annual Tucson Earth Day Festival will be celebrated on Saturday, April 20th at the Tucson Children's Museum at 200 S. 6th Avenue from 10:00 a.m. - 2:00 p.m.
Attendees can enjoy free museum entry with a child, as well as live entertainment, eco-themed exhibitors and activity booths, bike decorating, free bike valet parking, food trucks, and lots of fun. PDEQ helps to plan, organize, and sponsor the annual Earth Day Festival with the Children's Museum Tucson and many other local organizations and businesses to celebrate Southern Arizona's unique environment and promote an environmentally sustainable and healthy community. April is the perfect month to be outside riding your bike in the Old Pueblo. Bike Fest – the region’s month-long celebration of “life on two wheels” – will provided dozens of diverse opportunities to enjoy riding a bike for utility, for fun, to socialize, to keep the air healthy, and to enjoy springtime here in the Sonoran desert. Bike Fest is a program of Living Streets Alliance and is co-sponsored by Pima County Department of Environmental Quality's Clean Air Program, the City of Tucson, among other organizations and businesses. A full list of events can be found at Bike Fest Tucson. Ride on! PDEQ launched an educational campaign called "Pump Up Your MPG" to educate the community about the importance of keeping tires properly inflated to save resources and improve the environment. Pima Association of Governments' Clean Cities Program and the City of Tucson Office of Conservation and Sustainable Development provided some funding assistance for the program. A survey done after the successful campaign indicated that the number of people keeping their tires properly inflated tripled from the previous year's survey! Proper tire inflation saves gasoline, increases driving safety, reduces vehicle emissions, and keeps tires lasting longer. Check your tires once a month. Healthy Air Is In Our Hands!